#2,381 Like A Good Neighbor. – Laurel Mercantile Co.
Now reading: #2,381 Like A Good Neighbor. 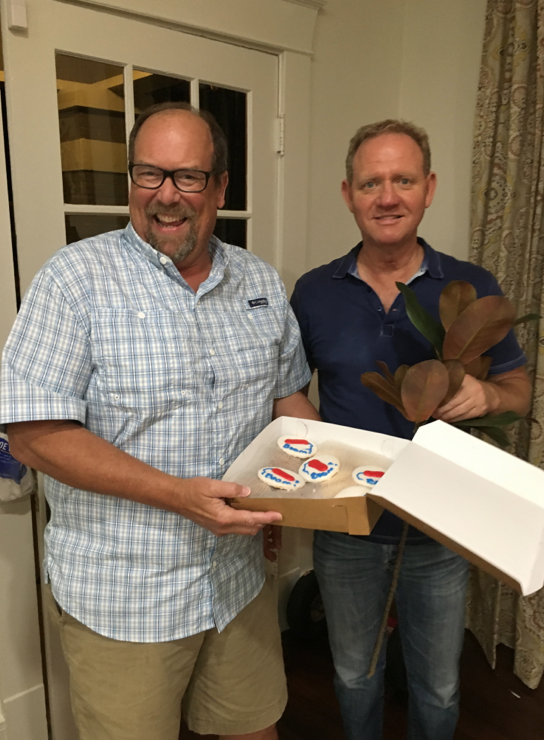 At 10:00 pm the night before a big reveal, there’s not a more welcome sight than 2 different neighbors dropping by: Mr. George from next door with late night cookies for the whole crew and Mr. Randy from down the street, the town’s most talented florist, to help arrange flowers. Laurel is special because of the gracious people who live in it and Lord have mercy am I thankful for them.